The 15m steel cruising barge shown above started as a personal dream and has stimulated a large amount of interest – and some imitation. The hull design is based aesthetically on the lines of the Dutch luxemotor barges but uses a double chine form to simplify construction. Rather than follow the conventional working barge superstructure arrangement this design uses a centre wheelhouse and a second helm position on the raised aft deck. This is a similar style to that used on aft cabin motor cruisers and combines the outside living space that is so often missing from barges with a large and sociable wheelhouse/saloon. 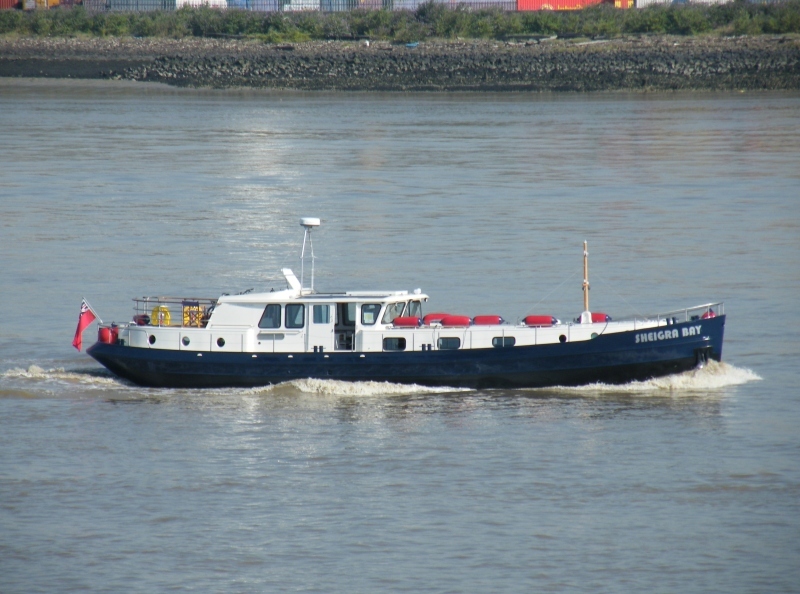 The first barge, ‘Kajala’ (see Gallery One), was launched in 2006 and she was followed by three 60footers, an aft cockpit 56footer, and the 57ft ‘Ida’ which was designed for use on Ireland’s inland waterways. All these barges have steelwork by South Holland Marine (sadly no longer trading) and both ‘Kajala’ and ‘Ida’ were fitted out by Stoke on Trent Boat Building Co Ltd. The most recent launching is the 65ft ‘Sheigra Bay’ built by Will Trickett Boats which took to the water in July 2012, and the currently in build at Bluewater Boats and due for launch in summer 2015 are two 15m x 4.6m barges with a third on order. If you are thinking of commissioning a barge, either as a private individual or as a commercial builder, please contact me to discuss your requirements.